This new VPI is the entry-level market of the SCOUT range, which currently includes three different models (the Scout II and ScoutMaster) that share several mechanical elements and, above all, the same design. 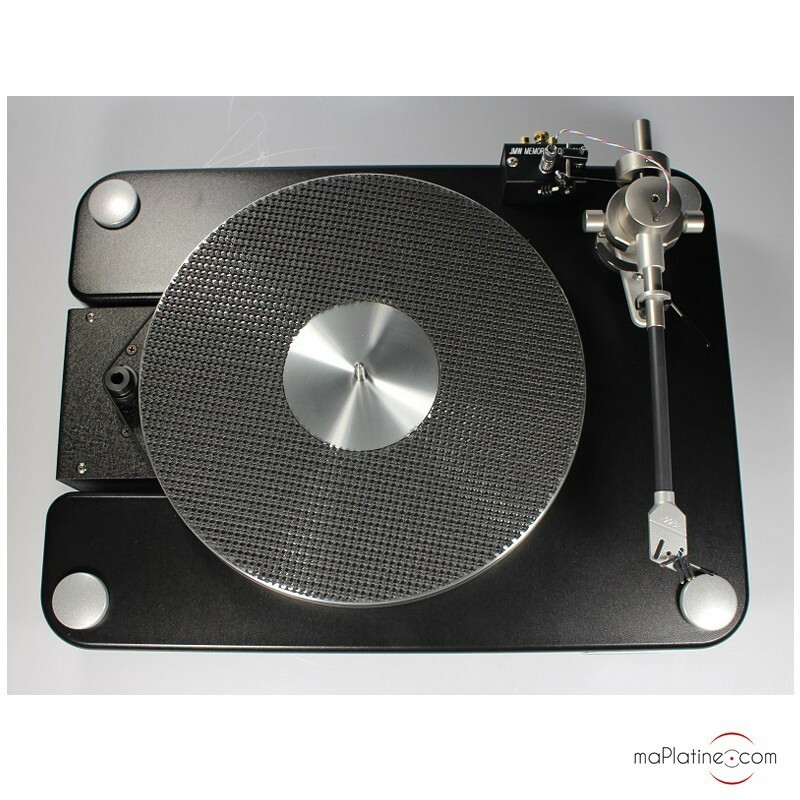 The huge motor is housed inside a steel casing that is separate from the base (the only tie being the belt), which prevents vibration being transmitted to the platter and tonearm. The tonearm is a 9" 'VPI 9T' unipivot model. It is a simplified variant of the JMW 9 Signature. It has a very high purity silver-plated copper wire. The acrylic platter of the old Scout has been replaced with a variant that combines aluminium and stainless steel. 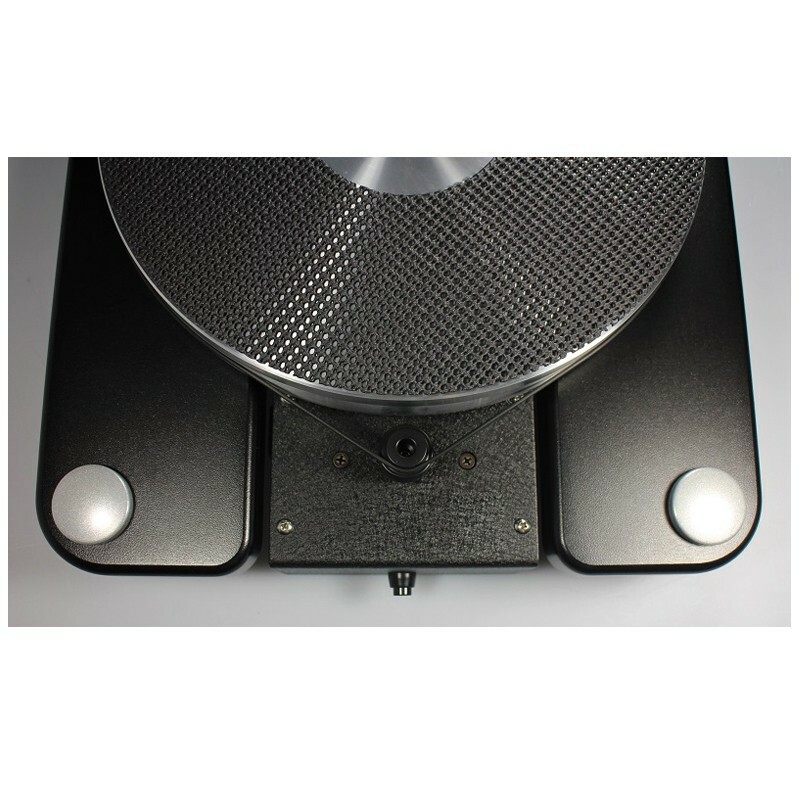 This 3.5 cm thick piece makes for a significant weight for the turntable and enables great inertia. A more silent and smoother bearing in an oil bath goes through it. The 3.5 cm thick MDF plinth is covered with glossy black paint and it is reinforced and weighted down with a steel plate. It is supported by four great aluminium spikes isolated by a silicone seal. 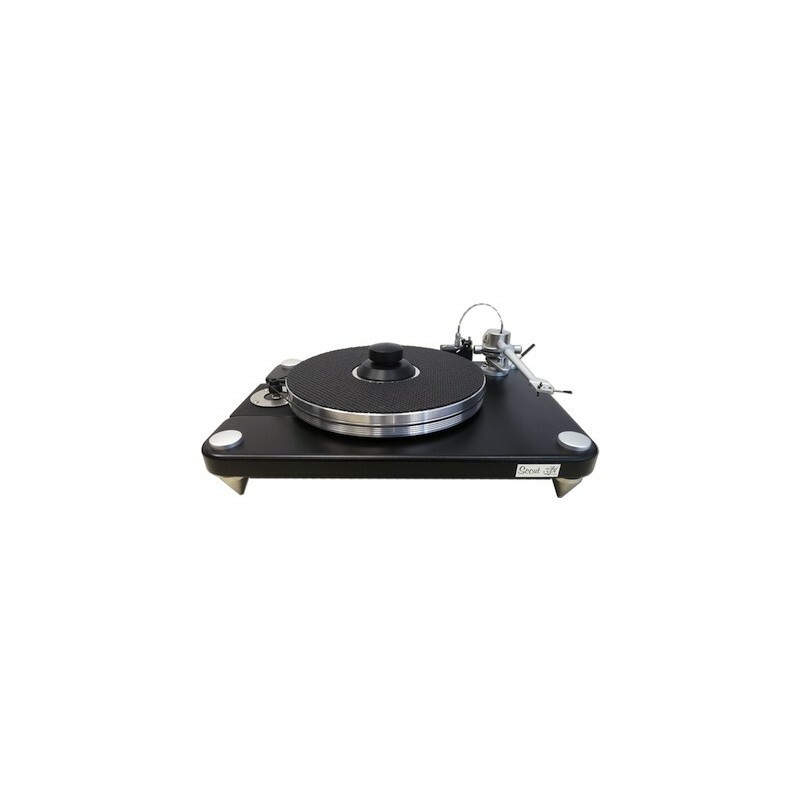 The turntable weighs over 15 kg, making it fully inert to vibrations. 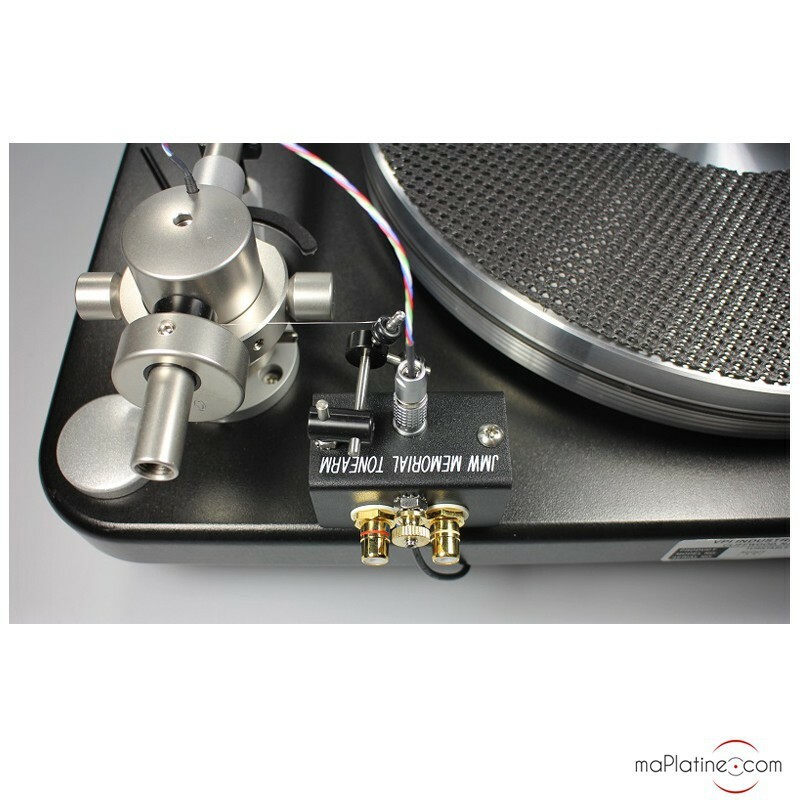 The outputs are RCA and are compatible with any tonearm lead. 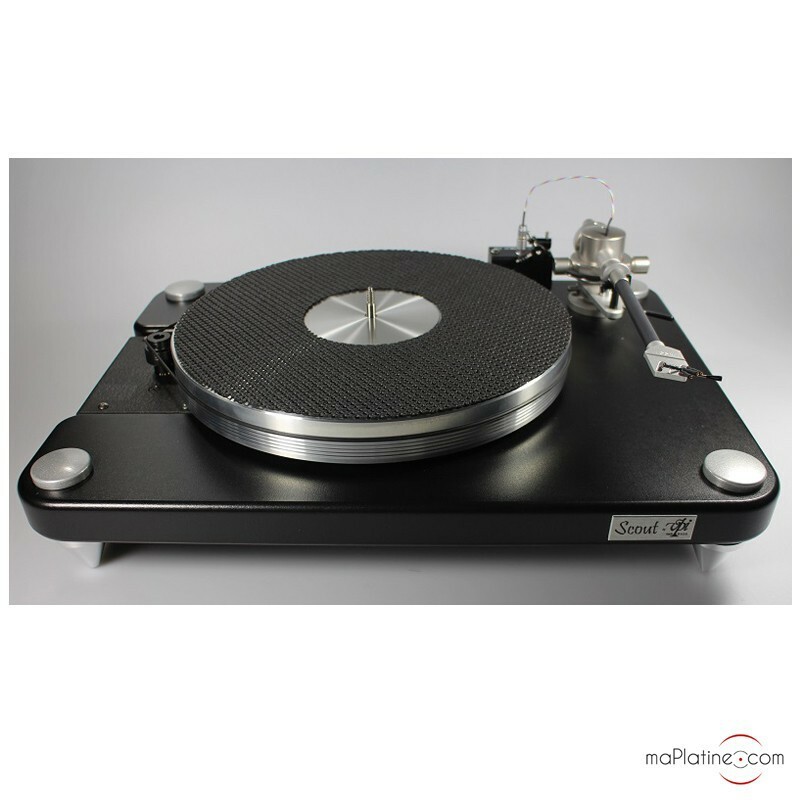 This VPI Scout 1.1 vinyl turntable is very easy to use and set up. 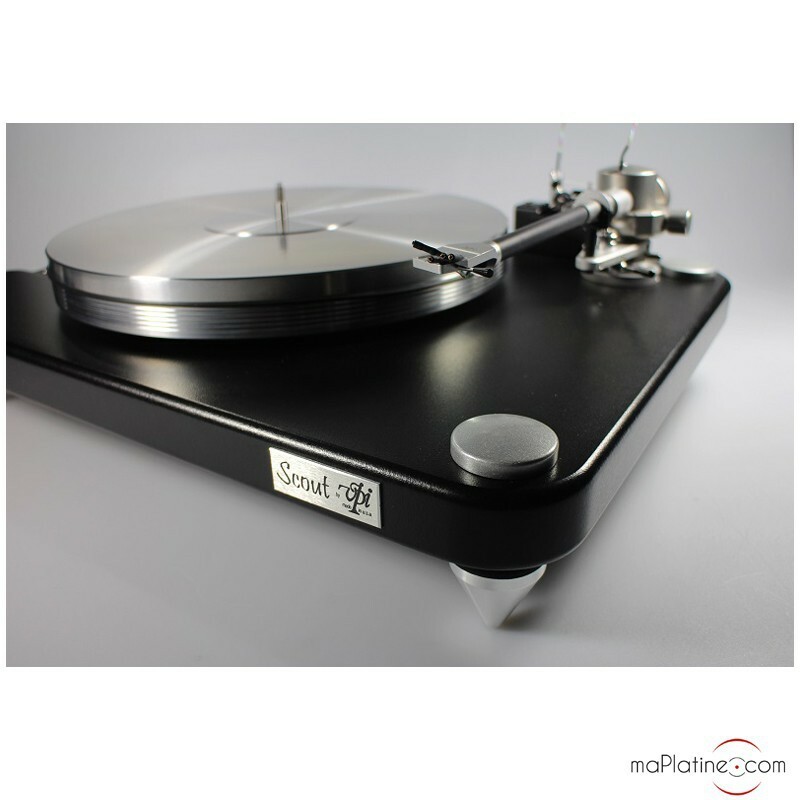 Though the unipivot tonearm may put beginners off at first, with a bit of perseverance (maplatine.com is there to help! ), everything will be fine. 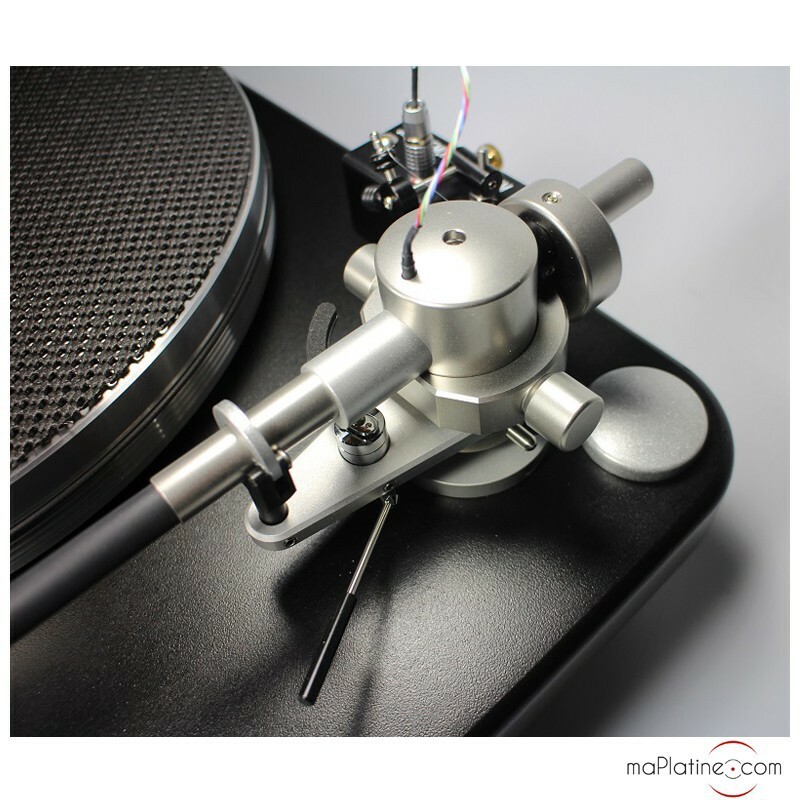 The JMW tonearm has nothing to prove and it's one of our favourites! Alone it fully justifies the price of this turntable. From the opening bars, we were amazed by the musicality of this vinyl turntable! The dynamics and transparency are fabulous. This vinyl turntable allows the cartridge - and above all the music - to shine. In fact is reveals the strengths (and weaknesses!) of each cartridge. As always with VPI, the bass is deep, well articulated and perfectly reproduced. The unipivot tonearm typically delivers the smooth and subtle sound for the brass, string instruments and vocals. It also does a fine job with a midrange Moving Magnet cartridge and works wonders with a high-end Moving Coil cartridge. 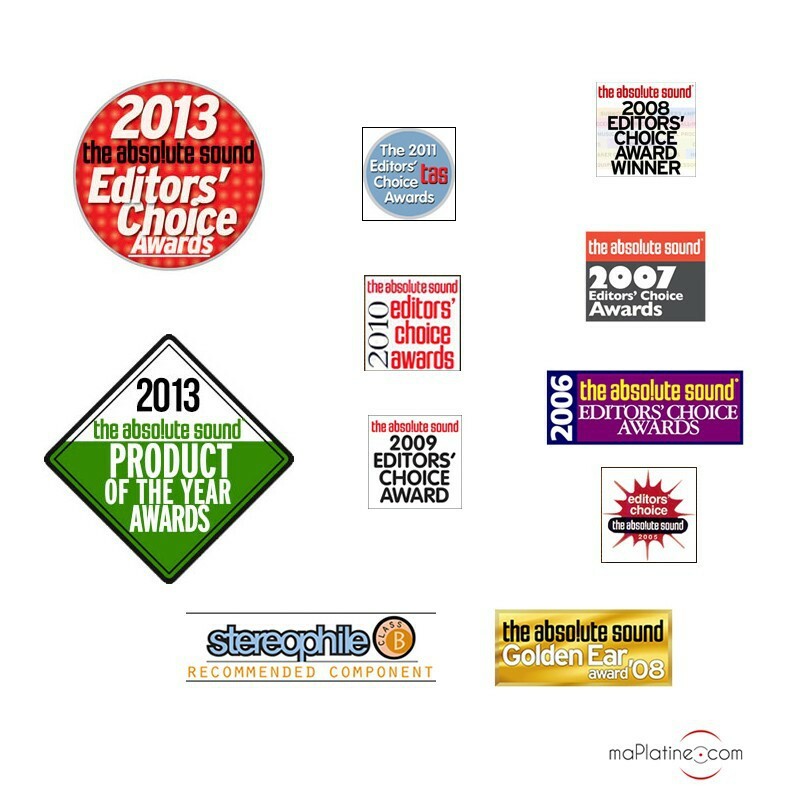 Yet another great success for the manufacturer. Great job!